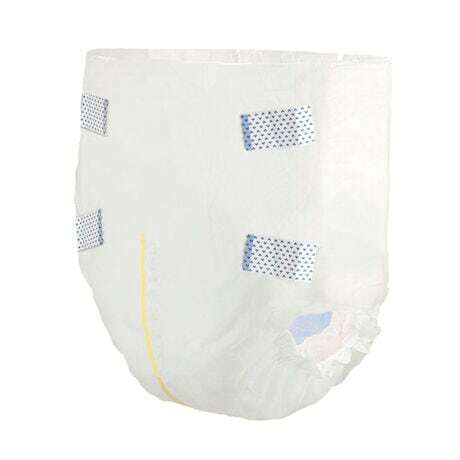 Comfort Care disposable briefs and pull-on underwear are latex free, breathable, and feel like real cloth. Highly absorbent core handles up to 13 ½ ounces to keep you dry - even while sitting on them! Each style features inner leg cuffs to help channel liquid into the core, avoiding leaks through leg openings. 25 briefs or pull-ons per bag. 100 per case. 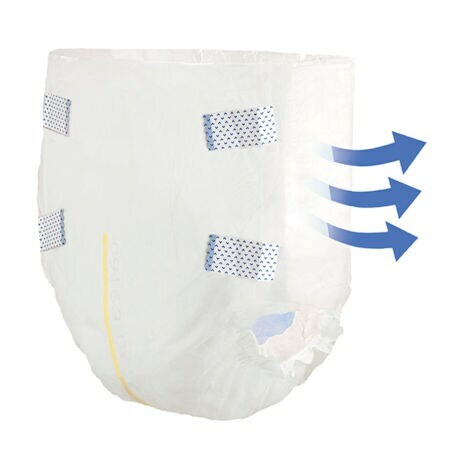 Breathable- Allows air to circulate around the body, promoting skin integrity. Wetness Indicator Yellow indicator lines turn to blue when moisture is present eliminating unnecessary changes.